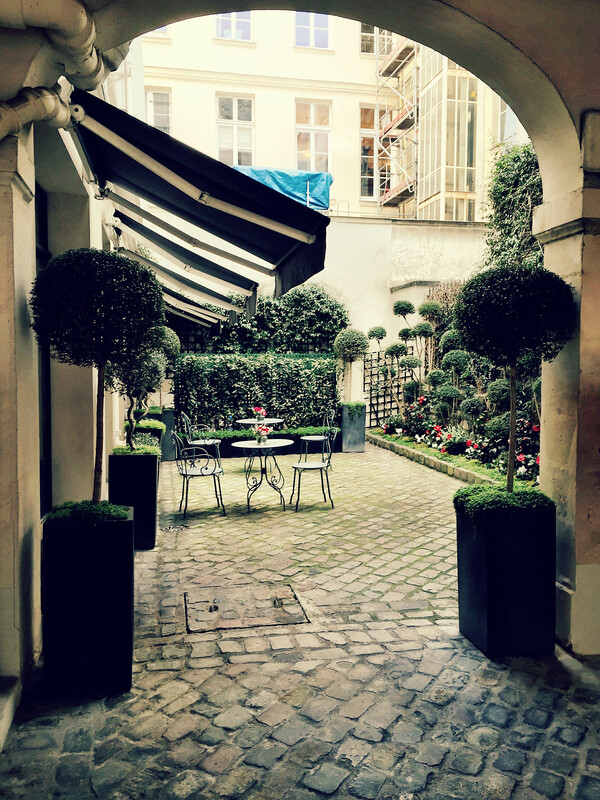 Of all the flavors to savor in Paris there may be none more sweeter than the thrill of discovering a hidden courtyard. Maybe it’s because no matter how intimate you may believe your relationship with her to be, Paris has a gaggle of frenzied lovers aggressively vying for her heart which makes it rarer than ever to find a moment alone just the two of you. Or maybe it’s because you sense a closeness to the locals and true residential life, which is a secret of the city that no foreigner ever really decodes. 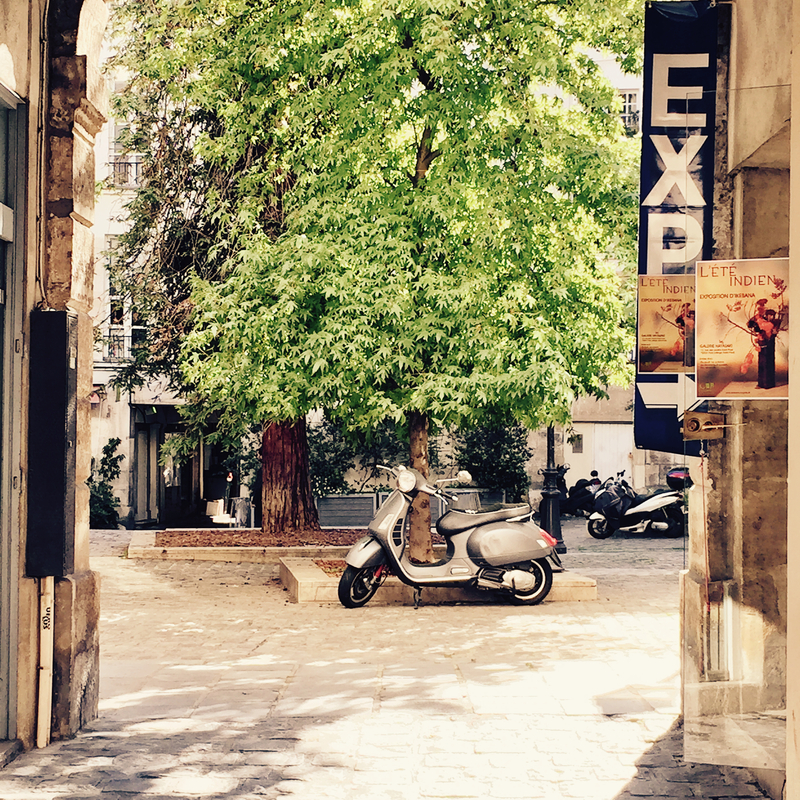 Perhaps it’s because touristy Paris is the feature film and the courtyards are the behind-the-scenes clips, reserved only for the initiated and extra-curious. Sometimes it’s as if you’ve caught Paris unawares in her boudoir, after the evening gown and jewelry have come off, and somehow she looks just as good–or even better–behind closed doors. Or it could be the history, because we’ve all played the “I wonder who trod these cobblestones before me” game. And for good reason: in a town like this you’re never far from the ghostly souls (and soles) of Mozart, Picasso, Chopin, or King Louis-Such-and-Such. And you also sense that one day, whether a future visitor remembers you or not, you will have added your footprints to that list. Or surely it’s because they’re pretty to look at. Cozy. Or probably it’s the forbidden fruit allure because so many of them are closed to the public. 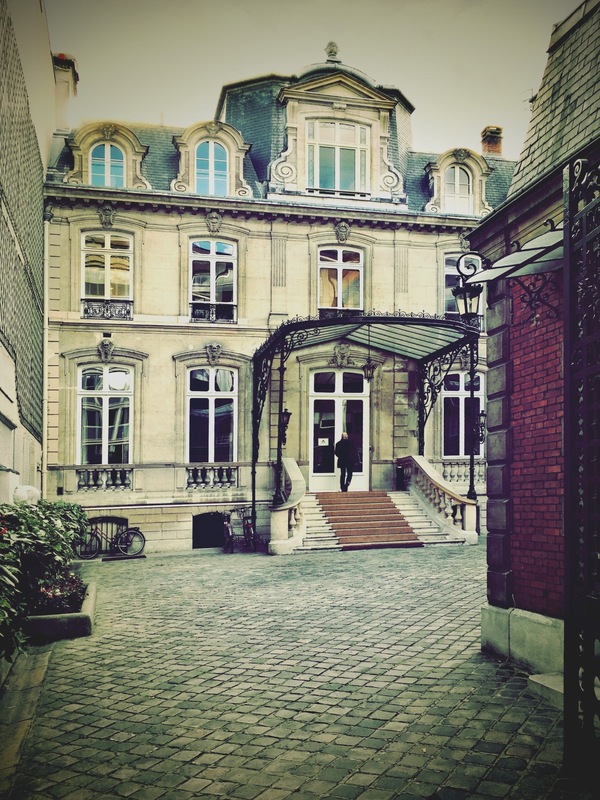 At any rate they’re an endless source of motivation for an urban explorer, if I may label myself as such, and it’s the prospect of a future private liaison–another intimate tête-à-tête with Paris while no one’s looking–that keeps guys like me in search of spaces like these. *And for a private guided tour of Paris please contact me by clicking “Tour Paris With the French Frye” at the top of the page. A bientôt! Nice work! 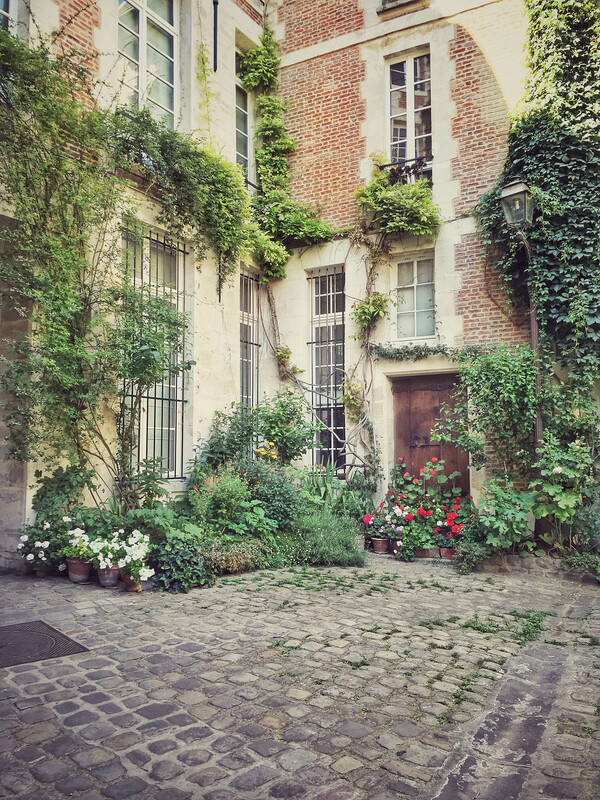 You should consider doing a collection of these, and perhaps some more far flung courtyards (Cité des Fleurs? Campagne à Paris?) and publishing them in a high quality book. It would not have to be a big tome, just something like Paris Insolites. I second Ellen A’s comment. Time to put a book together my son! 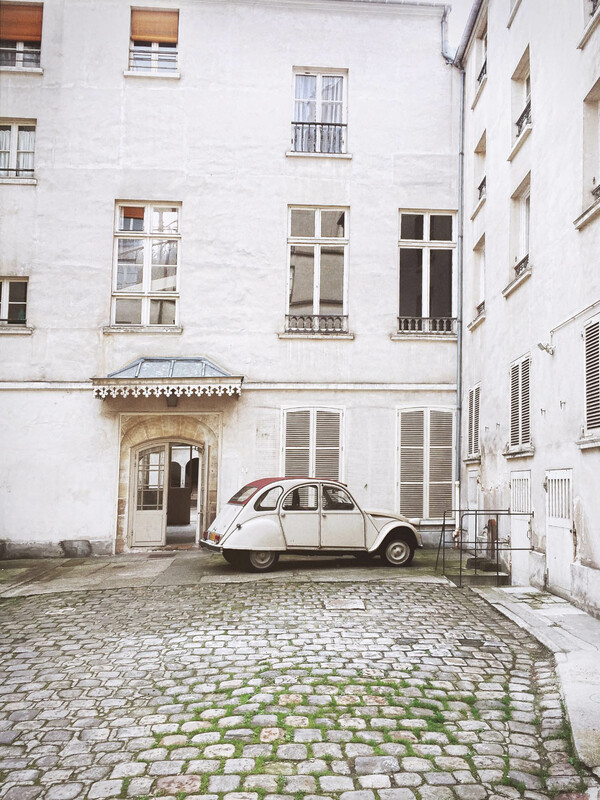 Your talent for photography and capturing the romance of Paris is second to none! HI Corey, thank you for your beautiful photos and also sharing your beautiful city. Very sad to hear Paris in ‘lock down’. Please take care. Bon courage et vive la France! I cannot believe I was there last year and I walked past Bataclan many times as I was staying in the quartier. From, someone who loves Paris and France as much as you. Thanks Diane, my pleasure. And your comment was a great start to my day as well! Hi Diane, yes we are safe and thanks for asking. A very sad day indeed. We all love the hidden treasures that surprise us. I have wandered streets from Paris to Caceras, Tokyo, to Kathmandu, and my favorite memories are always of the small intimate places that are never featured in the tourist guides. 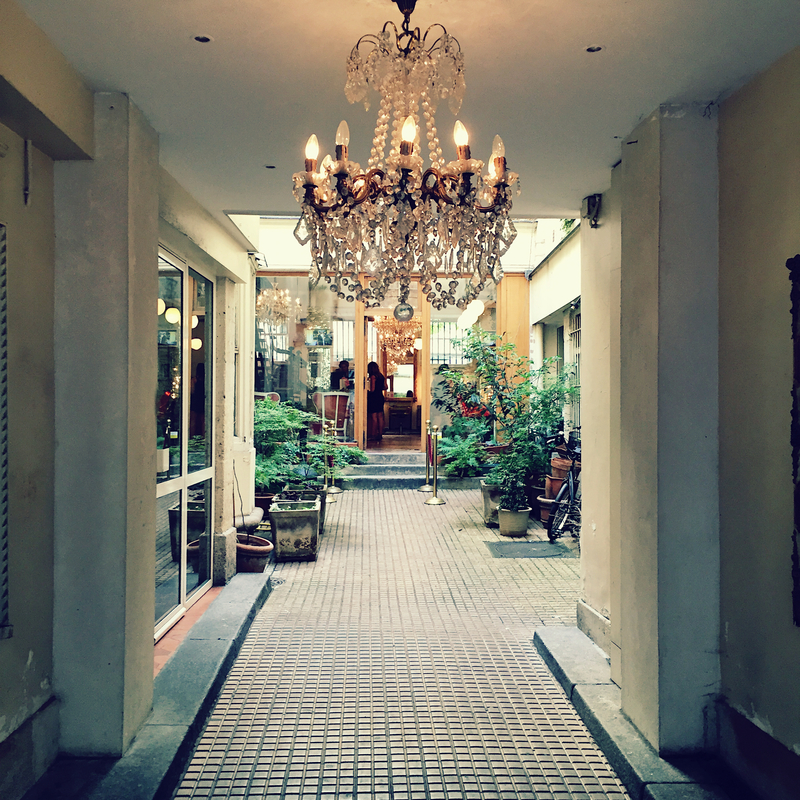 Thanks for this sampling of secret spots in Paris! Thank you Andrea. Your kind words are even more appreciated after recent events. Take care and thanks for stopping by. 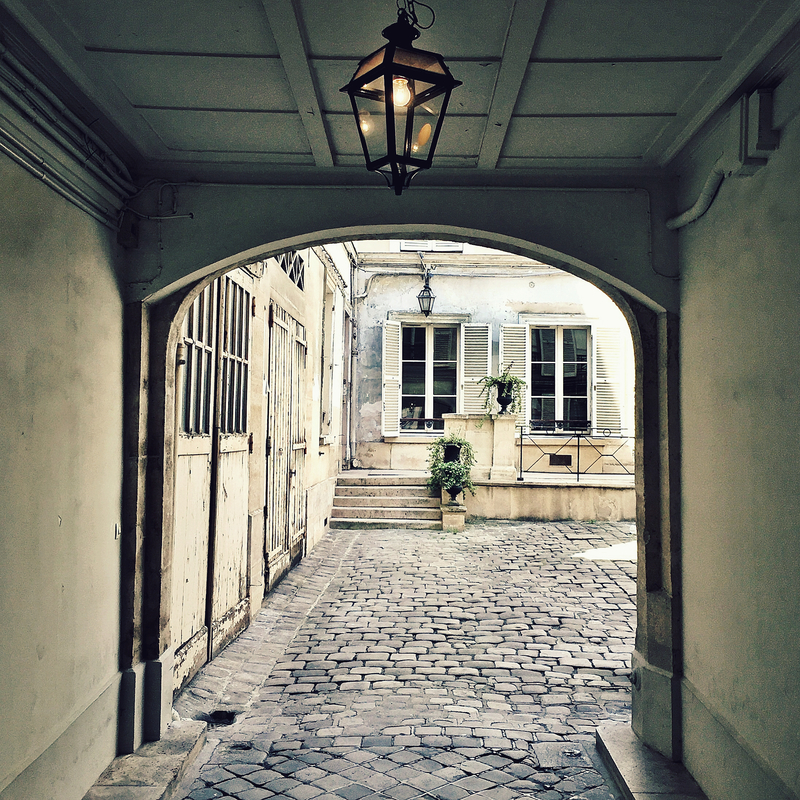 Like the hidden courtyards of Italy and old Cyprus, the gems of Paris are well kept secrets revealed only to the few who are curious enough to seek them out. You are granting us, the people of the worldwide web, glimpses of historic beauty through your superb photographs. Thank you. Well said Maureen, and thank you for the kind words and the reblog. Especially in times like these, we need to focus on the beauty and hope that Paris provided to so many people. These pictures are too beautiful to keep hidden. Thanks so much for this wonderful tour. (I was provided your link by a friend/fellow blogger Diane LaSauce.) 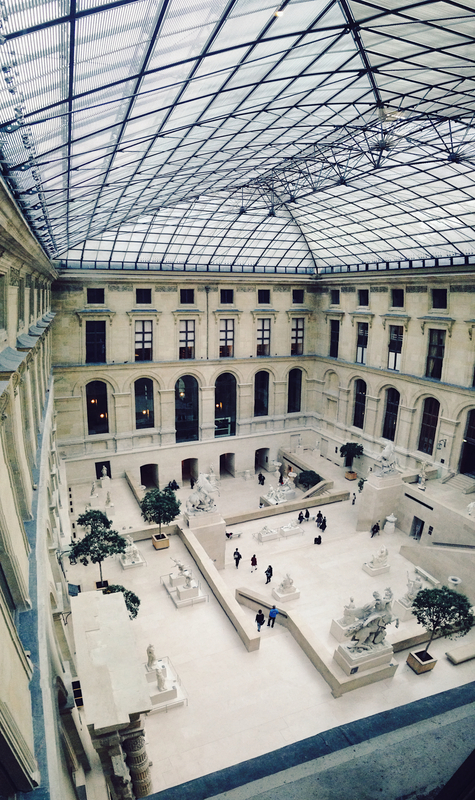 Many years ago I visited Paris – my stay was all too short. As an artist, it was everything I could ever dream of. A farmer’s market magically appearing below our hotel window and providing our breakfasts, buying our bread and cheese lunches in local shops, Le Jeu de Palme, which then housed every Impressionist painting I could ever want to see, the loveliness of the people who patiently endured my stumbling French. Your photography is exceptional. May you and yours be safe. Your very welcome! And thank you for such a lovely description of your time here. Paris just has magic, that’s the only way to put it. For those who are open to its charms it can be a very inspiring place. I appreciate you stopping by and leaving a comment. 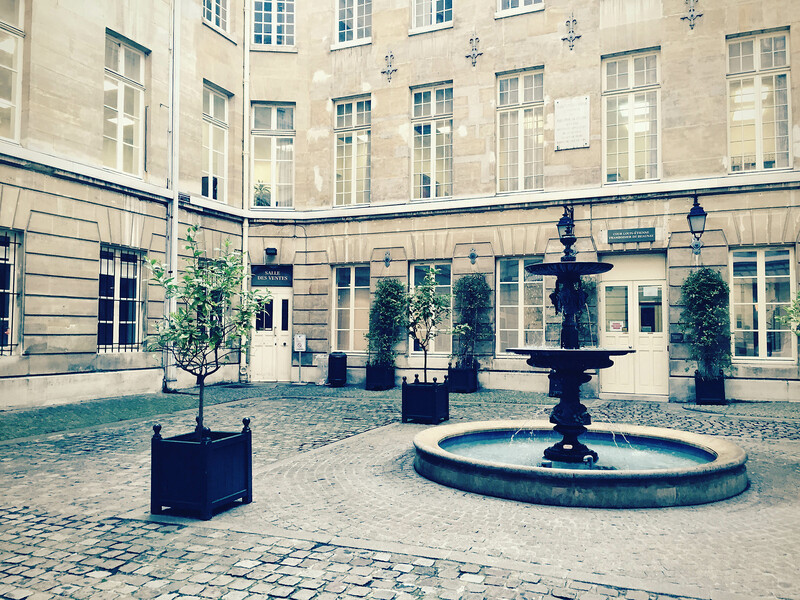 Courtyard shots are some of my favorites. Great working in labeling all the shots! Thank you, I enjoyed making that post! You should publish a book! Your pictures are so amazing…and your word choices makes my heart flutter. This old English teacher is a fan! P.S. When you do publish, I want my copy signed. Thank you so much! I’d love to publish a book someday. 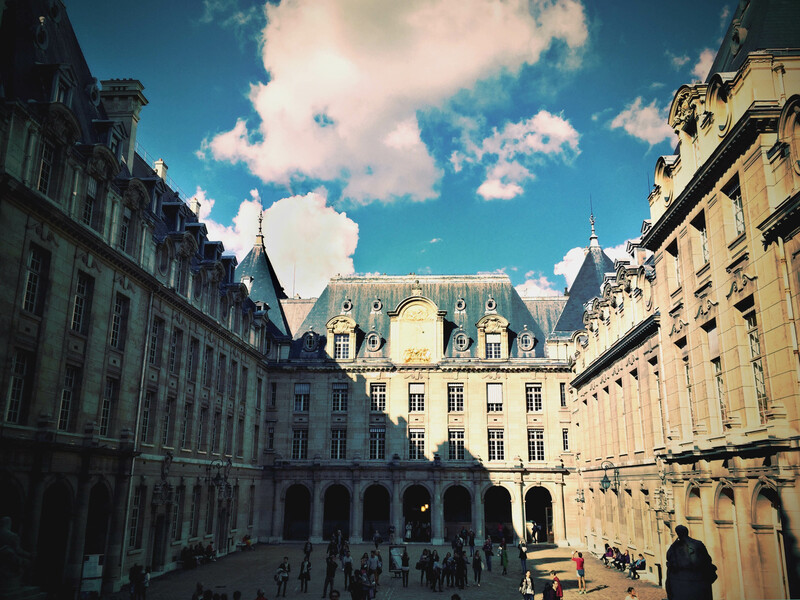 Wonderful images… as one who also roams Paris taking photos in my quest to unearth the great clockmakers of the city, I know the feeling of finding a hidden treasure. 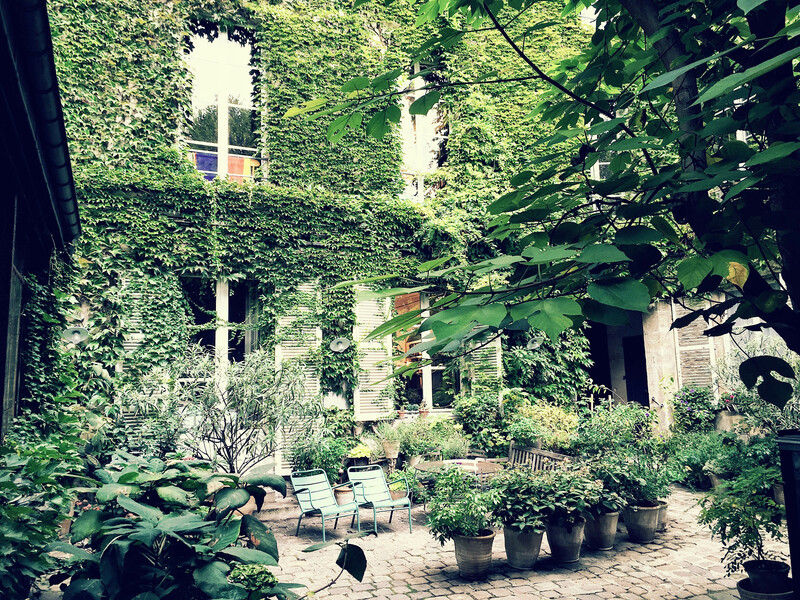 I have thrown my foot into many a closing door as someone leaves, allowing me to sneak inside a take in a hidden courtyard; my most memorable being a small, quiet oasis within rue Montmorency 31, where Henri Jacot and his family lived for over one hundred years. Knowing that this founder of the Parisian carriage clock industry and his brother stood on that very spot discussing their business and personal lives made it quite spine chilling. 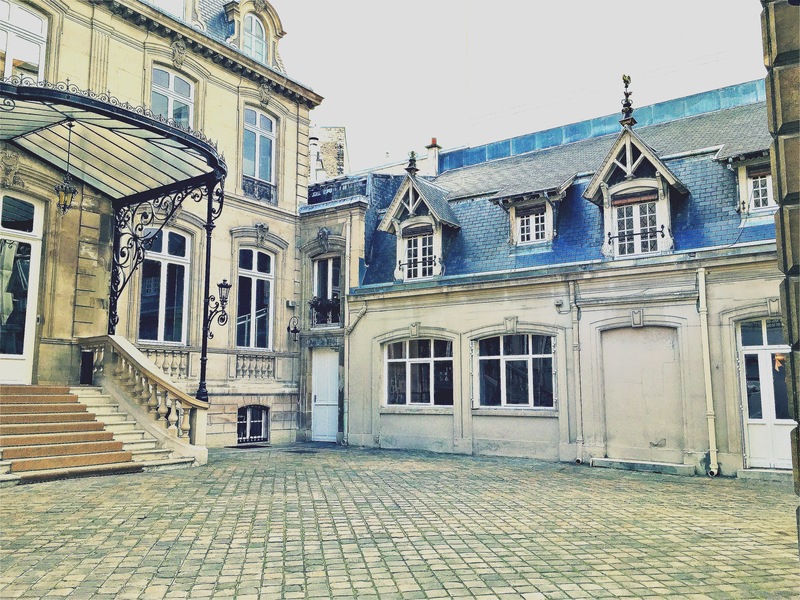 The first image you show here leads into the courtyard and workshops of the great horlogers of the Victorian period, Raingo freres. 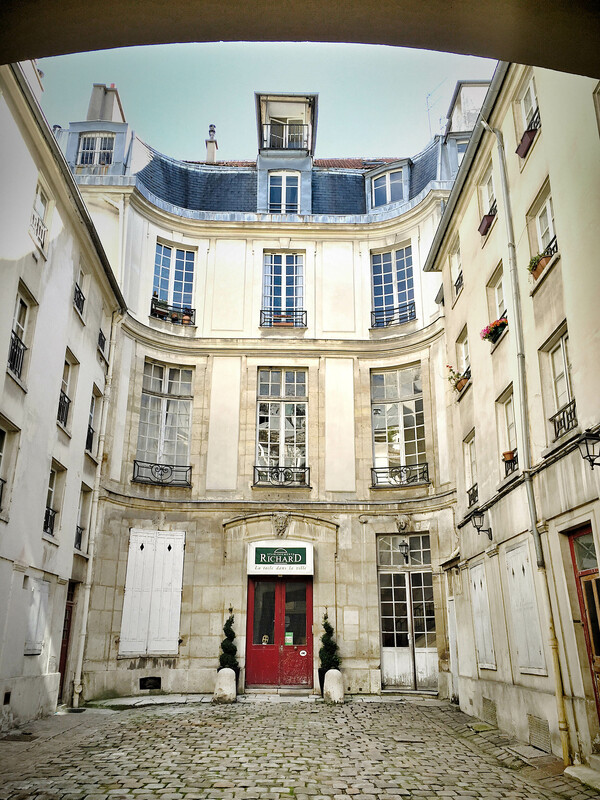 It is actually one road along from Debelleyme, in rue Saintonge, number 41, and right across the street from number 38 (previously no.8) birthplace of the well-known carriage clock maker Alfred Drocourt, and rival to Jacot, so if you get back there take a look through that door! Thanks for the intriguing comment! What has led you to a passion for the clockmakers of Paris? That seems like a delightfully narrow focus and I’m sure it leads you down all sorts of paths when you’re in town. How often do you come to Paris? I have been a clock dealer and consultant for many years and worked alongside Derek Roberts back in the 1980s. He wrote a book on carriage clocks whilst I was with him and I continued that interest, focussing on the two main Paris makers of the time; Henri Jacot and Alfred Drocourt. I realised very little was known about these two men and their families and so started my research in earnest some five years ago which led me to visit Paris a number of times to find more. I was a regular at the Bibliotheque National spending hours looking over documents and the old almanachs. I just love spending time at the former addresses of these old horologists, not just Jacot and Drocourt, but I reckon I’ve now visited nearly all of the sites of most others such as Leroy, Brocot, Raingo etc., and photographed most of the buildings. Due to all the street name changes of the Victorian period, most people interested in clocks and looking for these addresses would struggle to find the actual buildings; for instance, as mentioned, Drocourt was born at Saintonge 8, but that’s not the Saintonge 8 of today, but is now number thirty-eight. A summary of my work was published on-line in two exhibition catalogues that are available to view on my website if of interest. I really must arrange another trip soon as more has come to light that needs investigating!